Expand search to view more listings in and around San Ramon. 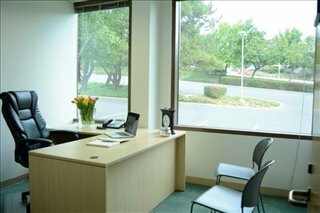 See more offices in and around San Ramon. 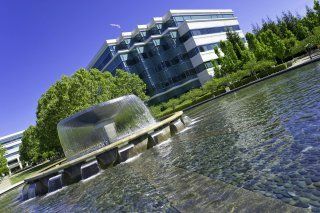 Offices.net has 3 offices available for rent in San Ramon, ready for you to move in and get started. The offices we offer in and around the city allow you do business in a sought-after location from professional office space without the overheads and commitments of conventional commercial real estate leases. San Ramon was named Tree City USA in 2001, a program sponsored by the Arbor Day Foundation that recognises towns and cities that support the environment by planting and caring for trees. Situated in Contra Costa County, the city serves as a suburb for the San Francisco Bay Area. San Ramon is the home of several major companies, including the Chevron Corporation and 24-Hour Fitness. It is also the West Coast base for AT&T. The Bishop Ranch office park development supports several of businesses, including Chevron and AT&T. A planned redevelopment of San Ramon's downtown will provide new services and amenities that will help draw new businesses and grow the local economy. Offices.net offers companies of all size the simplest, fastest and easiest way to secure professional office space in San Ramon, California. Many of our executive office suites and office space come with a wide range of facilities included, and flexible rental contracts that are made to suit you. We endevor to ensure that the process is as simple as possible for our valued clients. A wide selection of the business centers are inclusive of a range of business support services which include office administration, reception and on site IT support staff, high speed internet and WiFi services, lounge and meeting room amenities. In addition, a number of the office buildings provide free car parking, 24/7 access, dining facilities and break out areas. 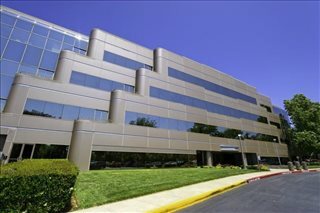 Simply choose any of the San Ramon offices for rent listed on this page. All of the office space and executive office suites are available on temporary rental terms to suit your needs and are located in prime San Ramon business positions. As well as the office space listed above, we also provide an extensive range of executive office suites in prime locations in other cities in California, available on flexible terms to suit your company's needs.